Is WiFi a Man-Given Right? Early in the summer, we took a trip to Europe. This my first time using the Miami International Airport. I had my two-month-old iPad (3rd generation) ready to give it the full mobile test – how comfortable will it be for use in airports, for reading and gaming on planes, and for doing work while abroad? The iPad passed the test, but the airports didn’t do so well. Let me give you a short background of my traveling experience, so you know where I’m coming from. In the past 7 years I have traveled to San Francisco, Las Vegas, throughout the US East Coast, Italy, France, Barcelona, London, and South Africa. Miami had its many challenges, but I will focus on the technology aspects. This was the first airport I have ever been to that did not offer free WiFi. To access their network there were paid rates by minute and hour. This was completely shocking to me, almost scandalous. Since I couldn’t dip too far into my offline activities that were reserved for the 9-hour plane ride, I had some time to think. I wondered if this was an anomaly, part of an already infuriating airport experience, or a new trend among travel ports. Was a getting a glimpse into a bleak future, a WiFi wasteland? 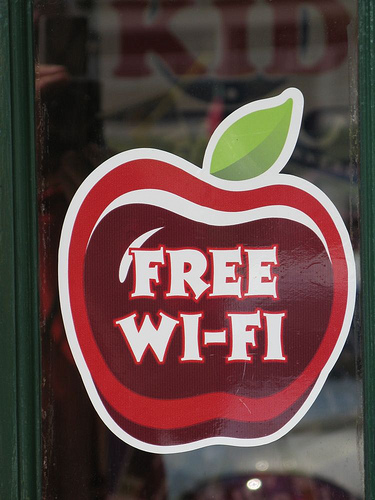 When I think about WiFi, it is always associated with the words “free” and “public.” This is thanks to many restaurants, coffee shops, and retailers who have been offering internet access free for years. Many large shopping malls also offer the free connection. As mentioned earlier, I have also experienced this public service at airports and some train stations. The precedent for free WiFi has been set by these businesses and organizations. Given the atrocious airport where I was having this experience (can you tell I really dislike that airport? ), I attributed it to a small pocket of WiFi dictatorship. Of course, I had to test this theory and try for WiFi once we landed in Paris. There was WiFi, but not free. Despite this, the city itself had signs in many areas claiming free, public WiFi. Unfortunately we were unable to connect to any of the hotspots with an iPhone. Even though we prepared it for international use, I wonder if there was still something about the American phone that was preventing the connection. At least the Parisian government valued public WiFi even if their airport did not. The paid WiFi at the airports was still bothering me. I thought back to my time in New York. Free WiFi has been added to many of the public parks in that city. I also recently read about an initiative to install free hotspots at the city’s payphones. In addition, I now had evidence from Europe, that WiFi is an urban, public service. Even the $70-a-night hotels along i95 have free WiFi in the guest rooms. I guess time will tell whether WiFi stays a public right, or moves in the direction of paid service. Is WiFi a natural right? Is it a public service or a product? I would like to hear from readers about your opinions and experiences in different locations? Where have you found free WiFi? Where has it cost you money? 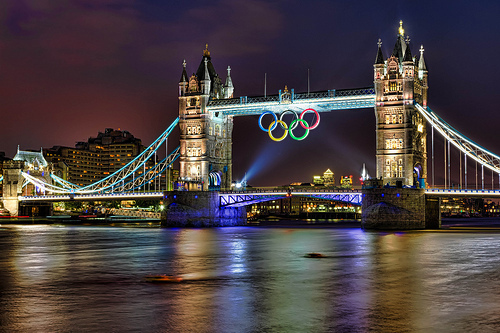 The 2012 Summer Olympic Games in London presented a challenging situation for the NBC television network. Although internet news and social networking were prevalent during the 2008 Games in Beijing, they were not as widespread and nowhere near as mobile as in 2012. Smart phones and tablets have people not only connected in every place they go, but even in between everywhere they go. Just to give you an idea of the influence of one network, Twitter, in 2008, 100 million tweets were sent per quarter. In 2010 there were 50 million tweets per day. 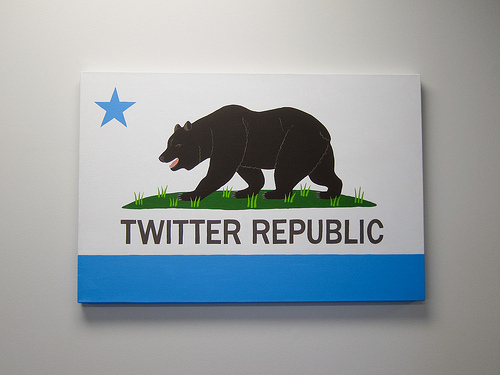 So far, 2012 numbers show 340 million tweets per day (The Daily Telegraph and Twitter Engineering Team via Wikipedia). The current situation facing NBC and US Olympic fans is that all of our daily news sources are reporting results of events as they happen live. This news is also spreading across social networks. NBC has decided to restrict access and delaying coverage of the most popular events for primetime television. My girlfriend is most looking forward to watching the swimming and gymnastics events, and we planned on watching the first men’s swimming final last night, on NBC. Unfortunately, she accidentally learned of the results of the race from a push notification from the CNN iPhone app in the late morning. She was not happy, but she wouldn’t tell me the results, as to not ruin the surprise for anyone else. Then, a few hours later as I absentmindedly checked into Twitter on my phone, there was a headline from The Daily Beast, Phelps Dethroned. At this point, I thought, I might as well read the details. Although swimming is not my favorite to watch, I was frustrated by the experience, because I imagined this happening on the days I plan to watch track and field. Not only is NBC delaying coverage of events, it’s live website coverage is problematic as well. If your personal schedule does not allow you to watch events live, you can watch “all events online” as the NBC website states. However, the most popular events, those slated for prime time television spots, are blocked out from the list of available replays. When I went to watch live events, the problems continued. You need to sign in with your account from your cable provider. Isn’t NBC a national network which is broadcast for free over the air? Ok, now I am starting to see their confusion. NBC is suffering from a bit of an identity crisis. So, I sign in to my Comcast account and I get this message from Comcast/Xfinity, “This service is not included in your current subscription.” Sure it is. NBC is included in my basic TV package everyday. The message goes on to explain how I need the digital starter package to view this content online…at the NBC website. Now, I’m getting confused. And I’m not even sure who to be upset with at this point (mostly at myself for wasting so much of my time and energy on this). This is just unabashedly greedy. They are betting that we are going to look past all of this obvious manipulation and sit in front of the TV for three hours waiting for the men’s swimming finals when we already know that Michael Phelps lost – in fact, we’ve known since early this morning. They want to drive ratings, by herding everyone to the evening TV coverage. By doing that they can make more money from the advertisers. The London opening ceremonies on Friday night had higher ratings than any other opening ceremonies (The Daily Beast). Will they be able to sustain that over the next two weeks? Of course there has been a huge backlash online from NBC viewers by the lack of access to live events. In response, an NBC spokesman told the Wall Street Journal, “They are complex entertainment spectacles that do not translate well online because they require context.” Do we get that context from our expert commentators? Is that like during the opening ceremonies when one person mentioned the spectacular system of lights around the audience, and Meredith Vieira stated, “That is one more thing I don’t understand.”? Thanks for the vital context NBC. If NBC and other large television organizations want to survive they must think of themselves as media organizations, not television networks. This was a remarkable opportunity for NBC to come up with an innovative solution using the full scope of their media resources. Instead they defaulted to an old model of TV coverage as TechCrunch put it. The major American networks already survived the biggest technological transition in the past decade, from radio to television. This change involved a massive shift in infrastructure and the way information is delivered, involving primarily visual storytelling. What makes their current situation markedly more difficult, is that the world is changing much faster. In the early 20th century, the networks dictated the change. Now there are too many players and too much open access to media and information. Can they make that switch again? As an iPad user, I discovered that I could not watch the NBC content in the web browser. So, I reluctantly installed NBC’s sad attempts at apps. The video app also requires sign-in from your cable provider. Not only was the UI clunky and haphazardly design, I was still blocked from watching any events. It seems that mobile was an afterthought. Too bad mobile is no longer the future, but the reality of the present. US fans are left in quite a predicament in the next two weeks. Do we completely disconnect ourselves from our social and information networks? Turn off all notifications? Stop logging in to our favorite services? Doubtful. When was the last time you did that for more than an eight hour sleep? Will we be able to enjoy watching the prerecorded broadcasts having already learned the results? NBC’s approach to this year’s olympic games is just foolish. It could signal the end of an era. During last night’s TV coverage, the commentators were discussing an olympian who reportedly signed out of all of his social networks, effectively unplugged during the days leading up to competition. The purpose was to be completely focused on his performance without distraction (many of us know what a gift and a curse technology can be). Then one of the commentators said, “That is a big deal,” with a tinge of smug sarcasm. That is the same attitude, I imagine, of the NBC executives and other leaders who have let this year’s coverage become such a mess. On my last visit to the website to try streaming the events, the NBC Olympics web page had a story about how Michael phelps had been defeated, before the event had even aired on TV. Update: Another reason that I want true live coverage is so I do not miss interesting, moving performances that someone else decided I would not like to see. Well, I would like to see it. Just learned about this Sunday night.